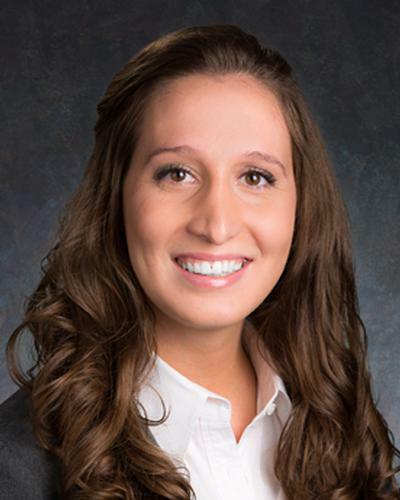 Aleks is an associate at Husch Blackwell in St. Louis. She regularly counsels education clients on litigation, investigation, and compliance issues arising from a wide range of civil rights and educational funding issues, such as Title IV, Title IX, the Individuals with Disabilities Education Act (IDEA), Section 504 of the Rehabilitation Act, the Family Educational Records Privacy Act (FERPA), the Elementary and Secondary Education Act (ESEA), the rights of English language learners and immigrant students, school desegregation, and the design and defense of measures to promote equal access and diversity. She also conducts investigations in response to internal and Office of Civil Rights (OCR) complaints following alleged student or employee misconduct involving criminal activity, Title IX sexual harassment, race, age, and national origin discrimination. Aleks has an active litigation practice representing clients in the K-12 education, higher education, and healthcare industries. She has first-chair federal jury trial, first-chair state court bench trial experience, as well as first-chair appellate court experience. Aleks also has extensive experience in trial and appellate preparation, including managing the day-to-day litigation, developing defense strategies and good company stories, managing discovery, drafting pleadings and dispositive motions, attending hearings, coordinating local counsel and deposing fact witnesses and experts. As part of her practice, Aleks counsels clients on minimizing litigation costs and risks in some of the most dangerous jurisdictions across the U.S. In healthcare, Aleks’ experience includes the defense of medical malpractice claims against nursing homes, and the defense of commercial claims, including contract disputes and business torts on behalf of pharmacies and pharmacy benefit managers. Aleks also has an active pro bono practice, dedicating significant time to representing low-income families in St. Louis, victims of domestic violence, and indigent clients with a variety of legal issues in state and federal court. Prior to joining the firm, Aleks worked at the U.S. Department of Education, Office of the General Counsel in Washington, D.C. and the International Criminal Tribunal for the former Yugoslavia in Den Haag, Netherlands. Aleks is a member of Husch Blackwell’s Recruiting Committee. She is also a co-founder of the firm’s K-12 Legal Insights Blog and an editor for the firm’s Higher Education Legal Insights Blog.